Land Rover Ocala has a great selection of pre-owned vehicles. North Central Florida can now count on a proven customer service leader – Land Rover Ocala. We offer a complete Inventory of New Land Rover Models, an impressive array of Pre-Owned Vehicles and expert auto repair. Our dealership also features the sort of premium customer amenities that Land Rover Customers expect. Our dealership reflects the upscale, state-of-the-art standards that have made Land Rover a revered luxury brand. It’s everywhere, from our knowledgeable customer service and finance staffs to our expert and superior service department and the amenities we provide. Land Rover Ocala opened in December, 2018. We are owned and operated by the Tampa-based Morgan Auto Group. The Morgan Group has 34 dealerships throughout Florida, everywhere from Tampa, Jacksonville and Orlando to New Port Richey, Brandon and Fort Myers. 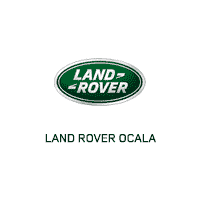 Land Rover Ocala is our 6th Gainesville-Ocala car dealership, including Mercedes-Benz of Gainesville and Honda of Ocala. Drivers from The Villages, Gainesville, Lady Lake, Leesburg and across North Central Florida are invited to make us their Land Rover headquarters. Stop in for a test drive today. Each new model year adds luster to the Land Rover reputation for expertly blending refined luxury and extreme off-roading capability. It’s what separates Land Rover from the ranks of luxury SUV competitors such as Porsche, BMW, and Mercedes-Benz. But then again, Land Rover has long been an SUV specialist. It’s all we do. Land Rover offers multiple models, each designed to ideally match the way you may prefer to drive. Land Rover Ocala’s modern showroom makes it easy to experience each Land Rover model as well as their individual trim levels. No matter which one you choose, you will enjoy the performance, dependability and durability that have made Land Rover an industry leader. At Land Rover Ocala, you’ll find a complete selection of new models on display in our showroom and on our lot. You’ll find a vast and varied inventory of premium Used Cars, Trucks, and SUVs to choose from at Land Rover Ocala. There’s always a broad selection of late-model Certified Pre-Owned Land Rover Models available. The Land Rover Approved Certified Pre-Owned Coverage includes: a 165-point inspection and safety check, 24/7 roadside assistance, a maximum 7-year/100,000-mile limited warranty and more. We also carry a selection of top-of-the-line pre-owned vehicles from other manufacturers. Everything from sedans to trucks, SUVs, and sports cars can be found on our lot, priced to meet a multitude of budgets. At Land Rover Ocala, our professional finance professionals strive to make stepping into luxury as easy as possible. Our Finance Center offers car loans and car leases with auto financing advice for both! We work to provide you with an optimal interest rate for your purchase or lease, and we have a varied slate of financing products and services at our disposal designed to accommodate a range of financial profiles. Don’t let bad credit, a challenging credit score or credit history or debt from credit cards keep you from investigating your options. Loan amount, loan term, interest rate, and other terms and conditions can vary. Explore our Finance Specials today! Regardless of your credit report, we’ll do our best to help arrange financing with monthly payments you can afford. Even after you drive off of our lot, you can rely on Land Rover Ocala to help keep your vehicle running like new. Our team of skilled service technicians is here to assist you with any car service and auto repair related needs. Whether it’s an oil change, tire rotation, brake pads or another maintenance needed, they have the training and know-how to help. Schedule Your Next Service online today! For the do-it-yourselfer, we carry a large inventory of genuine Original Equipment Manufacturer parts and accessories. Using OEM parts is a key to maximizing your Land Rover vehicle’s operation and lifespan. Explore our Parts Center and find the genuine auto parts you are looking for at our Ocala car dealership. Whether you’re considering maintenance, repairs or accessories, you can be sure of getting the right product at a fair price at Land Rover Ocala. You can even Place Your Order Online, and we’ll give you a call when it’s ready for pick-up. Visit us at Land Rover Ocala today.